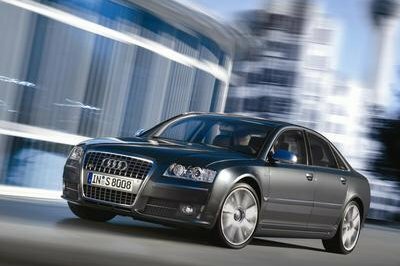 The luxury sedan segment is cluttered with numerous offerings spanning many different countries. Germany is the pack leader with the Mercedes-Benz S-Class, BMW 7-Series, and theAudi A8, while Japan counters with the Lexus LS460. Jaguar delivers with the new XJ, which is combination of elegant lines and old world grace, while American company, Cadillac, offers up the Stone Age DTS. Each and every one of these machines has a purpose that is executed with precision and, for the most part, excellence. The new BMW 7-Series is fairly good at being a technology laden sports sedan, while the Lexus LS is on the opposite end of the spectrum. 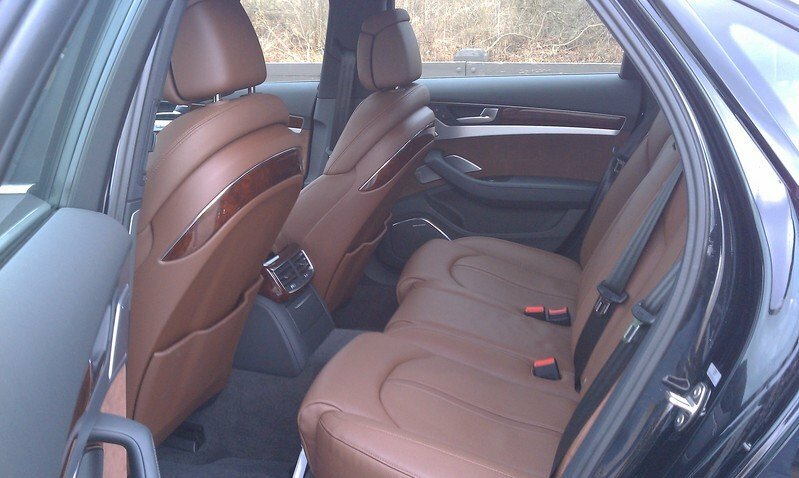 Yet, after a week in the new 2011 Audi A8, it has become clear that there is a new benchmark for the luxury sedan. For years it was left behind by its German competitors, but now, the new world has caught up with the old world and for once, Mercedes-Benz and BMW will need to do some serious catching up in order to compete with this new A8. The “third” German car company has just taken the lead. More details on the Audi A8 after the jump. 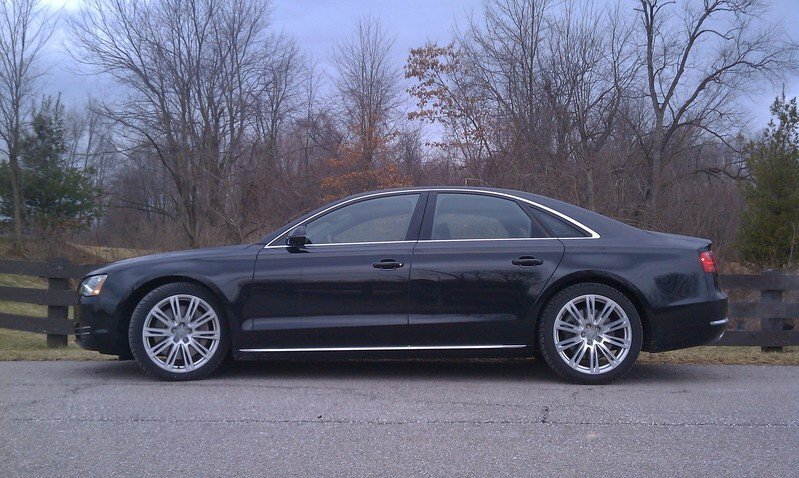 When the 2011 Audi A8 first pulled up, it was hard to get excited about the way it looked. Audi, like most of its German rivals, has gotten back into the habit of offering one bratwurst in three different sizes. While they are nowhere near as bad as BMW, who make it impossible to tell the difference between the 3-, 5- and 7-Series models, Audi’s new A8 certainly takes some cues from the A4 and A6. Yet, where there are similarities there are also major differences. The front end of the A8 looks as if it could vacuum the highway, sucking those small pesky hatchbacks that dare get in its way. 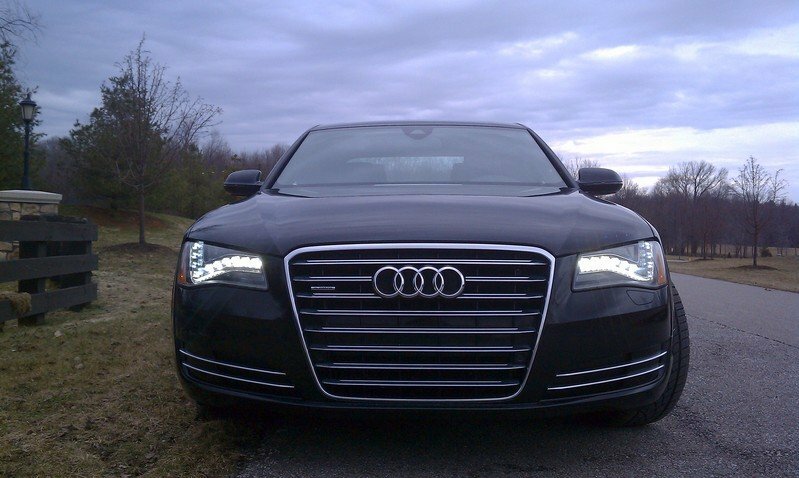 The massive grille is flanked by Audi’s typical LED headlights that some love and some love to hate. The rest of the vehicle is a bit of A4, just elongated. Hard to blame them for this though, as the A8’s sheer size – 117.8-inch wheelbase - will help it standout in the A4 crowd. If the exterior design leaves a bad taste in the mouth, the interior should put all those negative thoughts to rest. Once situated in those 22-way power seats, it becomes clear that the interior design, quality and overall layout is what a luxury car should be all about. The driver’s gauge cluster is the usual fare when compared to the Jaguar XJ, but it’s one of the easier systems to read in any light. Situated between the speedometer and tachymeter is Audi’s seven-inch informational display which houses just about everything that one would need. This screen, which is larger than some navigation screens in normal cars, can allow the driver to scroll through stations or iPod tracks, view a virtual compass, navigational directions or the car’s computer. The optional Night Vision Assistant with Thermal-Imaging Infrared Camera mounted in the front bumper will help the driver keep track of small animals or small children that happen to walk in front of the sedan. It’s neat and should impress those at the office, but it’s nothing new and has been around for some time now. Look down at the center stack and something truly unique will catch one’s eye. Audi’s latest implementation of the MMI system incorporates a rectangular touchpad that will allow the driver to write in letters with their fingertip, as opposed to the typical knob that forced many to twist and twist until the correct address was found. Not only will it allow one to write in letters, but it can also be used to scroll through phone contacts, dial up an XM station, or navigate on the map. All in all, this new MMI system is hands down the best in any vehicle to date. Of course, Audi hasn’t rested on its new MMI system, as they have plenty of other features to amaze potential buyers. These systems include adaptive cruise control, blind spot detection, and Audi Lane Assist. The navigation system on the A8 is one of the best in the world, as it allows the driver to quickly input an address and can even give a 3D rendering of the city one is in. Even the map between the gauges was easy to read and understand. Despite the advanced navigation system, one never has to leave the driveway in order to enjoy the optional Bang & Olufsen Advanced Sound System. 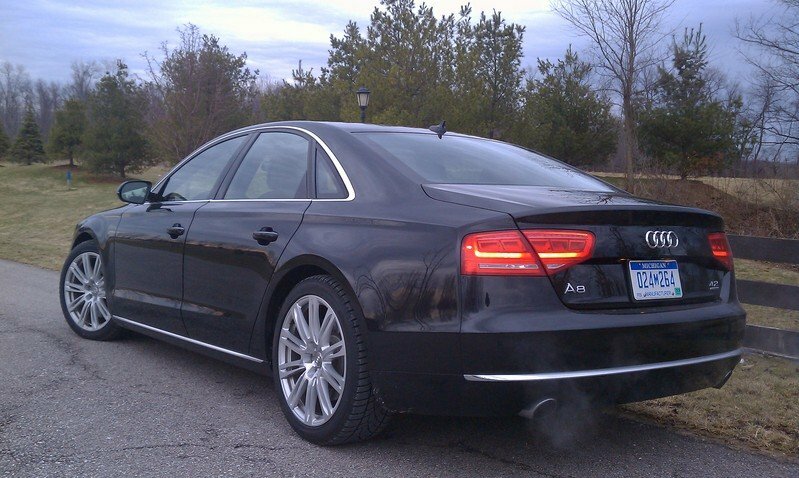 With 19 speakers cranking out 1,400 watts, the A8 had the best sound of any luxury machine on the road. Even when pushed to the limits, the sound remained crisp and clear. Now, it should be said that this option is $6,000, so it had quite a lot to live up to and it did it in every single way. Technological toys are all well and good, but if the car doesn’t go like it should, one might as well just stay home. 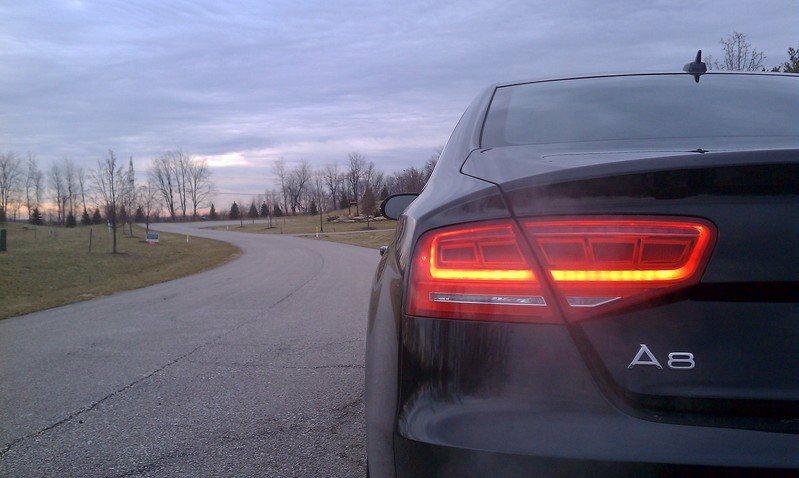 Luckily, the A8 is one of the best driving sedans on the road. 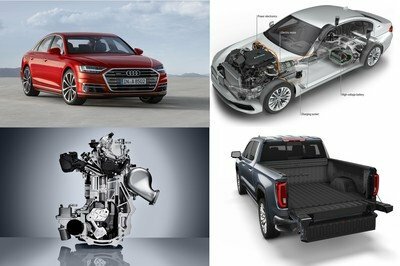 Audi combined a lightweight aluminum space-frame chassis with a 372 horsepower, 4.2-liter direct-injection V8 to achieve better performance results. Power is sent to all four wheels thanks to Audi’s Quattro all-wheel drive system. Torque is rated at just 328 pound-feet, but before you scoff at such a low rating, understand that it arrives effortlessly at just 3,500 rpm and can allow the Audi to seamlessly accelerate from 0-60 mph, or from 60-80 mph, or even higher without ever feeling strained. Audi clocked the A8’s 0-60 mph run at just 5.7 seconds, but that’s not the whole story. 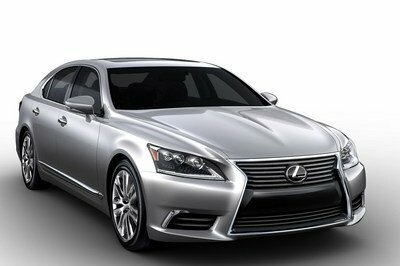 The Lexus LS can hit 60 mph rather quickly, but it’s the way the Audi does it that makes one sit there in amazement. The engine roars to life and gives the occupants a great sense of occasion that no other luxury barge is able to do. Where as the S-Class and LS are made to be driven in, this A8 is meant for those that love to drive. That statement really hits home when the A8 is being pushed to the absolute limit. It’s hard to believe that something this large can perform this well, but it sure does. When placed in Dynamic mode, the Audi becomes a sports sedan. The throttle response is sharp and the steering is tight and requires a little effort in order to turn. The eight-speed transmission shifts instantaneously and puts the power down seamlessly. Sit in the passenger’s seat and close your eyes and it might seem like your sitting in an S4. There have been other sedans that have performed this well when it comes to performance, but none of them were this large and this luxurious. What Audi managed to do here is stunning and worthy of fifty gold stars. The way in which those massive 20-inch wheels grip the road and the way the brakes never fade, even after hours of hard use, are unbelievable. 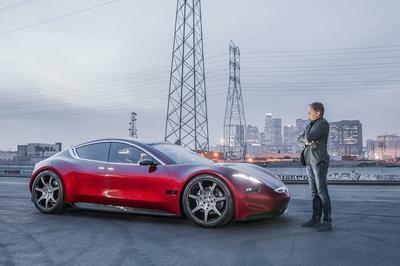 If you have this sort of money, chances are gas mileage doesn’t matter a whole lot, but for those that care, it manages to get 21 mpg in the city and 27 on the highway. In total, we managed 22, which is brilliant to say the least. One never gets sad when a car leaves to head off to the next motoring journalist, but in this case, it was hard not too. Cruising on the highway, listening to music as if it were being recorded right in front me, while getting a back massage is truly the way to live. If you have the means – around $96,000 as tested – we highly suggest you get one. Well, its a good thing that its a Audi car and looking at the interior , its kind of fabulous. And the engine performance is quite good though its not that best option for its type. The only thing that makes this car distinctive with Audi car is the grille. However, looking at the car itself. Well,its not that glamorous unlike the Audi R8.. It seems that a single frame grille doesn’t fit on this car. However, I was impressed with the material and design of the interior. Wah! A true luxury car. Just check, the night vision assisting thermal imaging infrared camera on top, Blind spot detection, 3D rendering of the roads, fingertip writing without the need for tuning, the 19000 watt speakers. Uff everything one can ask for a luxury car. For me, the only thing bad with this car is the front grille, it really looks hideous. But overall, the A6 is actually a great car and handles pretty well. Yeah, I agree with you on that, performance is really a much better gauge than looks on this one. 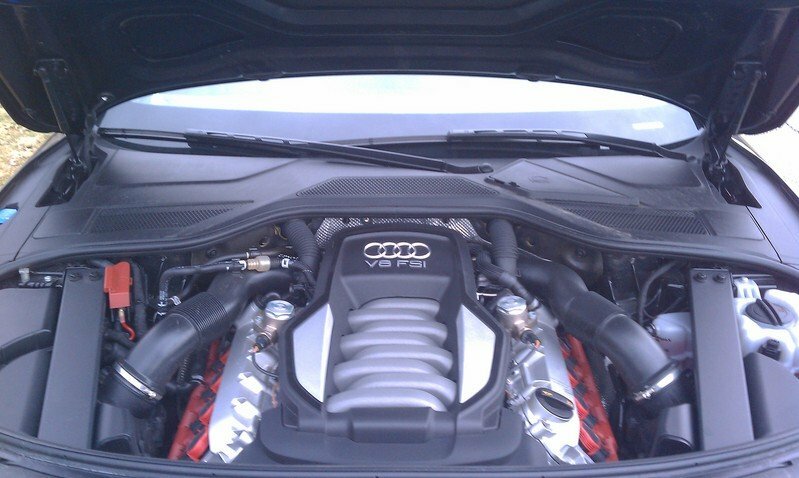 And the A6 certainly does have that level of performance. Well, this one actually doesn’t look as hideous as you guys might think. And the car’s performance actually overshadows the problem it has with regards to its exterior design. Well. The A8 isn’t all that bad. Performance-wise, it is able to deliver what it is supposed to, and it handles pretty good too. But I agree with you that some parts of it look hideous. Yeah I also don’t like the front grille on this one, it looks way too large. Unless of course if it is meant to front a large radiator, which sadly it doesn’t, so I don’t see the point on that one. I think I have mistakenly praised the design of R8. The interior is somewhat similar to the A4.However, we couldn’t admit that many of us have waited for its debut in Geneva Motor Show. 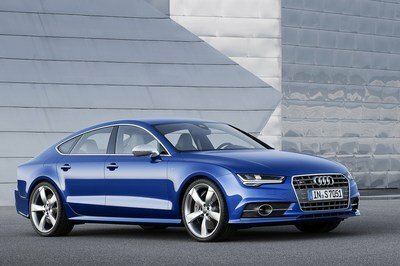 And based from what I remembered, A8 was nominated as the sports car on TopSpeed’s Best of 2011 Geneva Motor Show. Anyway, are they coming up with a Spyder version for this one?